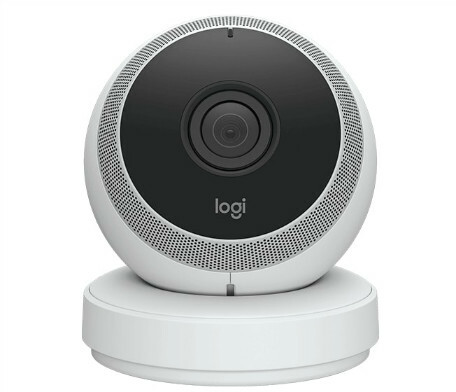 Logitech’s home security camera, the Logi Circle is the company’s first home security camera under its rebranded portfolio of general consumer products. The $149.99 battery powered camera has features similar to most DIY cameras out there. With the Logi Circle you get full HD 1080p as well as 720p video with night vision and 24 hours of free cloud storage (Logitech also offers subscription plans to increase storage). The Logi Circle also has smart motion filtering and smart alerts, which you can customize to receive for specific areas of the house. The camera has a 135 degree wide angle all glass lens, 8 X digital zoom, built in microphone and speakers for two way audio and can be operated on battery (more on that below). The Logi Circle boasts of a compact design, easy set up and an easy to use app available for iOS and Android. Where the home security camera differs from the likes of Canary Flex and Nest Cam Outdoor is the fact that the Logi Circle is meant to be an indoor only camera. A battery is great if you want to temporarily position the camera somewhere, but the battery on the Logi Circle does not last very long (only up to 3 hours on normal mode and up to 12 hours on power saving mode). It may be noted that under the power saving mode, the video resolution is considerably diminished. Setting up the Circle is fairly simple, as is using the related app on iOS or Android, which is the main access point for the initial set up as well as customizing and using the camera (web browser access is also available). It is a ‘plug and play’ camera and set up is as simple as connecting it to power, switching it on, downloading the app and tapping setup. That’s it! 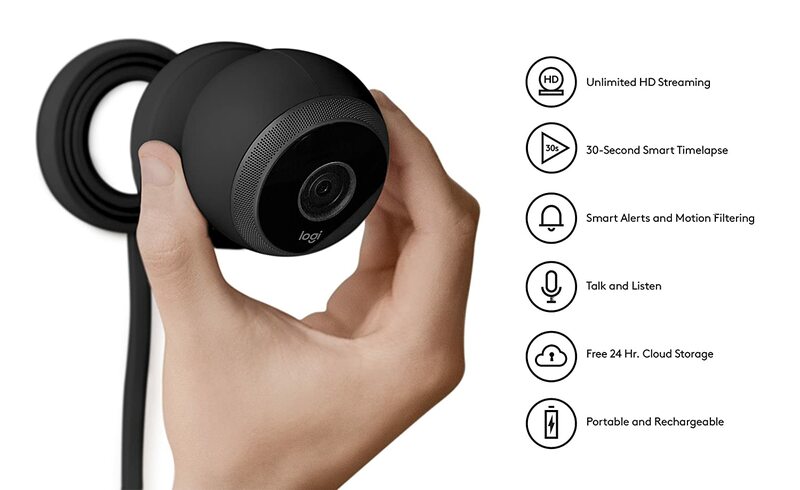 The camera connects to your home Wi-Fi network via 802.11 b/g/n 2.4 GHz or 5.0 GHz, and the simple Circle app that lets you access the camera from anywhere. Initially launched with a price tag of $200, Logitech has slashed the price of the Logi Circle by $50 and the camera is now available for $149.99, and is available in white or black. So, while the Logi Circle lacks some of the features available in the other home security cameras on the market, it is a neat little device that does its basic job of letting you monitor your home. 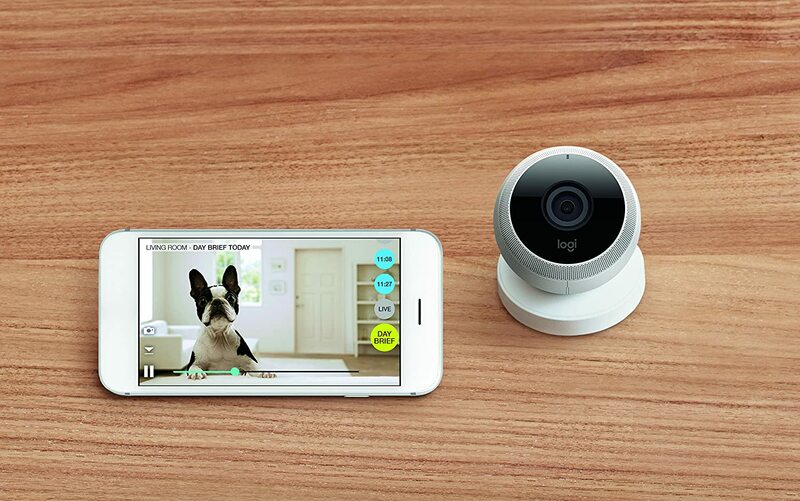 Whether you want to check in on your kids, your pets or want to keep your house safe from intruders, the Logi Circle, with its comparatively lower price tag, warrants attention of anyone interested in buying a reliable home security camera.